Man starts dancing around like a monkey in front of lion cage at zoo… Now watch how the lions react! 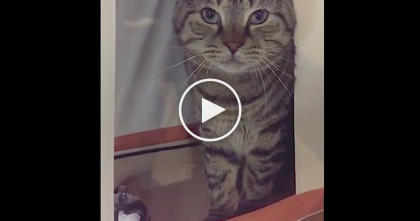 Lions naturally love to play, so when they see this “monkey” dancing around, they’re just loving all the attention… Their reactions are too funny, I hate to think of what might have happened if the glass wasn’t separating them, oh my!! You almost have to wonder which side of the glass the zoo is on – this guy is know by his family as the guy who likes to make everything “fun” and that sure is true when he starts dancing in front of the lion cage! 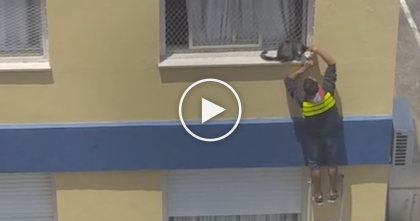 This is SO entertaining to watch, they really want to play… Just watch the video! 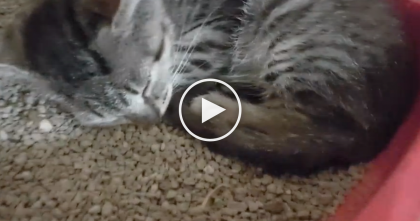 Kitten Sometimes Sleeps In Litter Box… But Listen To The Sound He Makes, Oh My, Never Heard That Before! 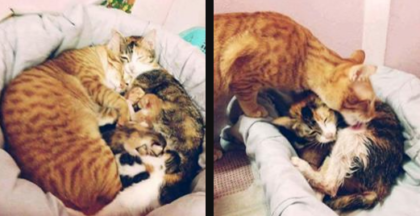 Father cat steps up and helps mother cat giving birth, but then… The end result is just beautiful!